From your favorite slow-cooked recipes, braised meats, one-pot meals, soups and stews, these dutch ovens are the best iron-cast pots to cook them in. The best part? Aside from being able to cook with the same cast-iron pot over and over again – for the rest of your life – you will likely be able to pass it on to multiple generations after you. This is why my goal is to help you get the best dutch oven you can get at the best price possible. With the detailed information below, you will know what to look for when choosing the best dutch oven for yourself. 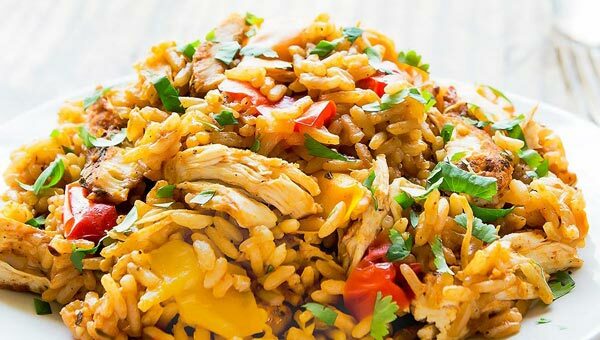 With the detailed information below, you will know what to look for when choosing the best dutch oven for yourself. Be sure to also read the enameled cast iron cookware reviews to get the full picture. We have narrowed down the best five Dutch ovens sold in the market. Comparisons are based on even heat distribution, special features, durability, versatility and style. Here is a more in depth breakdown of each of the five Dutch ovens listed above. “You get what you pay for” certainly holds true when it comes to dutch ovens. Although Le Creuset cast iron cookware sits at the top end of the price range, their dutch ovens also outshine with many quality features. 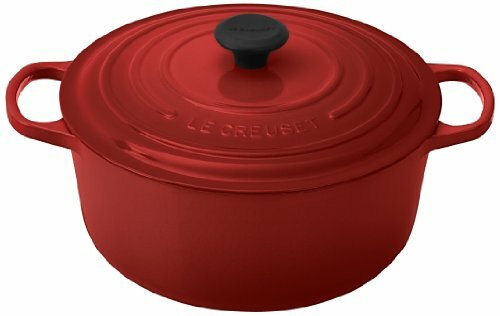 The Le Creuset 7.25 Qt Dutch oven stands out with superior heat distribution and retention, 45% larger handles that provide a sure grip, even with oven mitts. They also have an advanced sand-colored interior enamel with even more resistance to wear. For this reason, they often get passed down generation after generation. 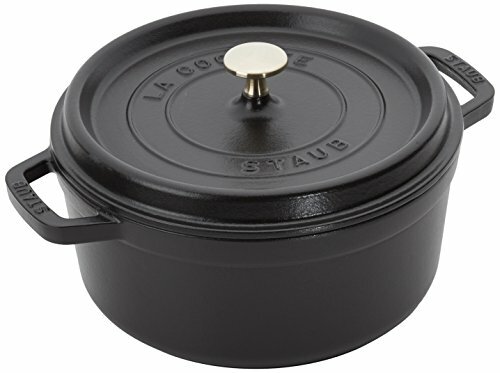 Furthermore, the lid features a larger composite knob that withstands temperatures up to 500ºF, and the long-lasting exterior enamel resists chipping and cracking more than any other Dutch oven brand. The fun colour options include cherry, caribbean, indigo, palm, soleil, flame and hibiscus. Click here for more reviews and to check most current pricing! Staub cast iron Dutch ovensStaub cast iron Dutch ovens are called Cocottes. 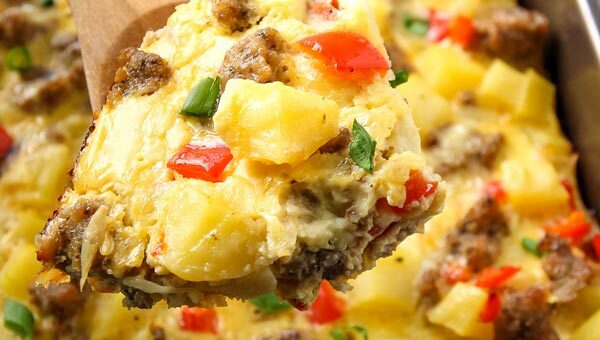 Several features set Staub apart as a top rated Dutch oven brand. They are made in France and come with standard issue metal knobs, which have to be ordered separately with other brands. The interior black matte enamel finish is non-stick surface, more resistant to scratches and chips, and most distinguishingly, it won’t discolor! The lid’s underside features spikes that have a self-basting effect, as the evaporating cooking juices will drip back and evenly distribute during the cooking process. 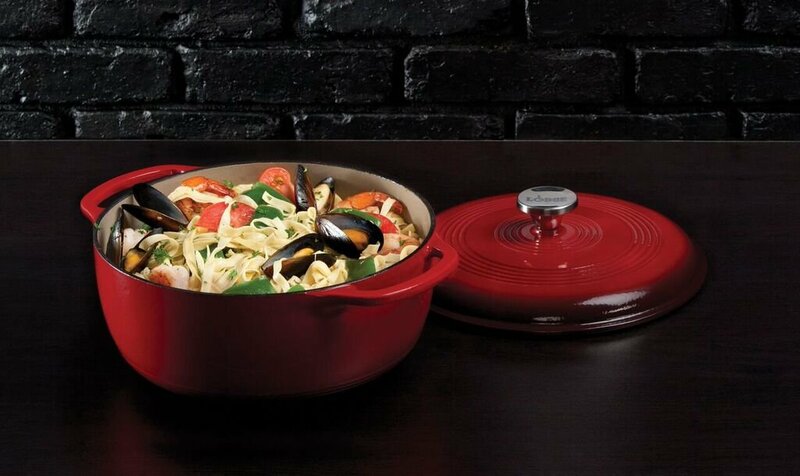 Finally, the even bottom makes the Staub enameled cast iron dutch oven suitable for any cooking surface, including induction cooktops. Click here for current prices and more details! Lodge cast iron Dutch ovens feature two coats of chip-resistant porcelain-enamel finish; cream-coloured on the interior and the exterior in colourful choices including Island Spice Red, Caribbean Blue, Emerald Green, Lagoon, Pumpkin and Purple. Lodge enamel Dutch ovens are very affordable – in comparison, retain heat superbly, and perform many cooking tasks extremely well. However, after reading many Lodge enamel Dutch oven reviews it appears that the interior enamel may not be as durable as in higher priced competitors. Your 6 Qt. Lodge cast iron pot may not become a family heirloom – but at this price point your successors can easily afford their own Dutch oven. Further, although hand-washing is recommended, Lodge enameled cast iron dutch ovens are dishwasher safe and come with a lifetime warranty. 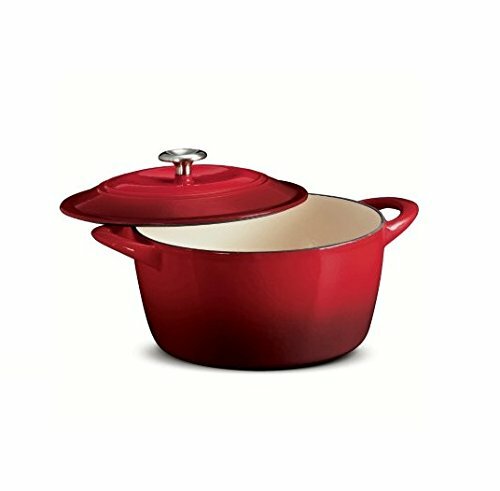 If you are looking for a very affordable Dutch oven, Tramontina enameled cast iron cookware is your way to go. 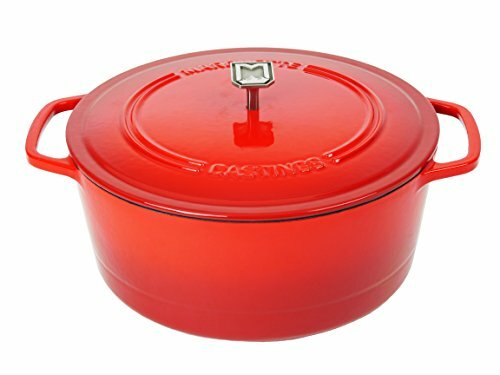 From reading many enameled cast iron reviews it seems a Tramontina cast iron Dutch oven may not be as heat resistant (oven safe only up to 450°F) or durable, as its 5-10 times more expensive counterparts, but it is a great option to get your hands on a cheap Dutch oven even with the smallest budget. Especially, if you just want to try out Dutch oven cooking for the first time, or only want to try out that fantastic crusty, no-knead bread recipe. Click here for more reviews, information and pricing! Marquette Castings is a new name in the Dutch oven and cast iron cookware market. After the start-up’s successful crowdfunding campaign, Marquette Dutch Ovens are now being sold on Amazon at prices that won’t break the bank, while also receiving excellent reviews across the board. It sounds like the makers really did their research in order to manufacture a better product with the Investment casting technique. No wonder they are already featured among the top Dutch ovens. Their beautiful Dutch ovens come in Iron Red, Matte White, Superior Blue, Petoskey Grey, and Shipwreck Navy. I love the gorgeous metal handle in the shape of their logo. And last, but certainly not least, Marquette Castings offers a Lifetime Warranty! When considering both price and quality, in terms of value Marquette Castings truly seem to be making the best cast iron dutch ovens. Click here for more information, reviews and pricing! Some people are hesitant about cast-iron dutch ovens because they’re large and heavy – even when empty. They can also be a bit of an upfront investment. But here’s the thing: they are worth every penny. At least the ones listed on this page. 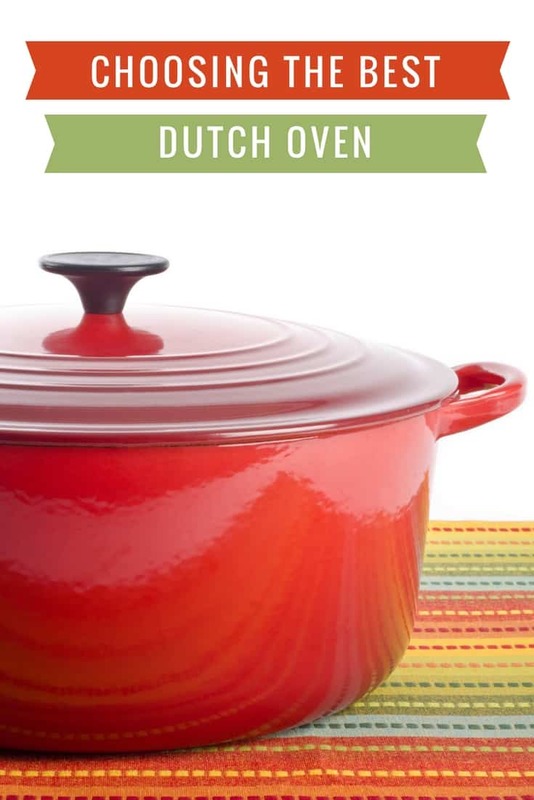 So, if you love gatherings and celebrations where food is involved, or if you simply love to cook and serve your family and friends home cooked meals, it is high time for you to get a one of these best enameled cast iron dutch ovens. With all the great options available to you, why wouldn’t you? Roast a chicken! Dutch ovens cooking lock in moisture and evenly roast a whole bird without drying out any of the parts. Have you heard of “no knead” bread? No knead bread is easy and delicious and it bakes up perfectly crusty in a Dutch oven. 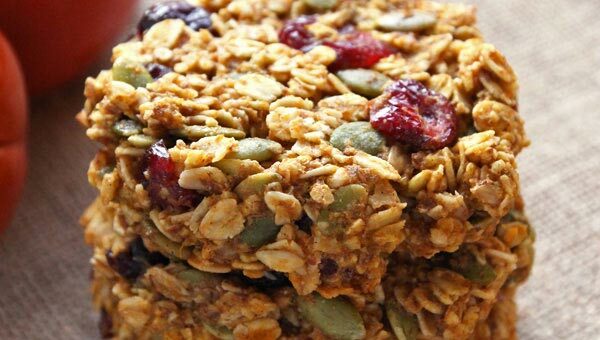 Try it at home or for a baked treat while camping. Pop some popcorn! That’s right, it can replace or even eliminate the need for a popcorn popper. All you need is oil and popcorn kernels in your versatile Dutch oven, and snacks for movie night is solved. Poach salmon or chicken breast in your Dutch oven. Try this One Pot Poached Salmon recipe now. Going camping? Make delicious Campfire Chili in a Dutch Oven recipe. In case you’ve read this far and still have no idea what a Dutch oven is, here is a quick break down for you: It’s a heavy, thick-walled cooking pot with a tightly fitting lid. It is good for braising and excellent for soups and stews. It is usually made of cast iron and needs to be seasoned before using. Cast iron dutch ovens can withstand extremely high heat and can be used for deep-frying. Even though they are nearly indestructible, some special care is required. If not taken care of properly, cast iron can rust. Enameled cast iron dutch ovens are easier to clean, but the white or cream coloured enamel on the inside can become discoloured with use. Once stained, it’s nearly impossible to return to its original condition. 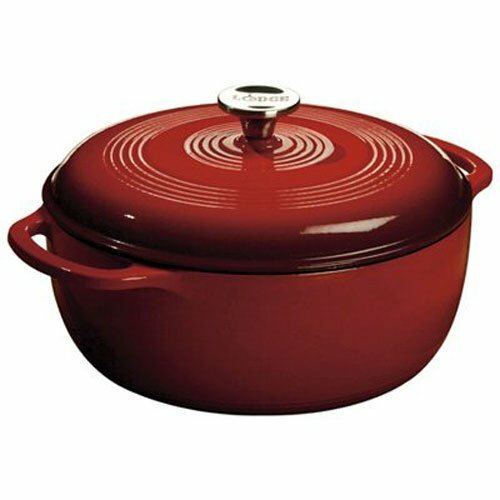 Another great thing about a cast iron enamel dutch oven is that it retains heat longer than cooking vessels made from other materials. This makes it ideal for braising meat. 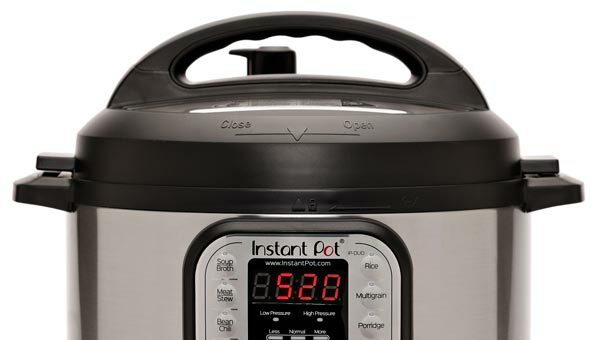 Having a heavy lid means you do not lose liquid to evaporation and the steam generated inside the pot remains to keep food moist and succulent. Because they are heavy, especially when full, and can become extremely hot to the touch, safety is an important issue when using a Dutch oven. Always use high-quality oven mitts/pads and ask for help moving the oven if needed. There are camping dutch ovens that are rugged and ideal for outdoor cooking. Some are made with legs to raise them above the embers of your campfire or steel handles so you can hang them above the fire. An enameled cast iron pot can be used either on the stovetop or in the oven. Cast iron has been used as to make cooking vessels for hundreds of years. They hold heat for a very long time, giving assurance that the food you are preparing will cook at an even temperature. Dutch ovens have high sides, making them useful for preparing soups, stews and large cuts of meat. Stews work wonderfully in a Dutch oven as you can start by searing the meat on the stovetop and finish them either in the oven or stove top without having to change pans. An enamel dutch oven is naturally non-stick. This non-stick feature is much longer lasting than most other teflon or otherwise coated cookware. Those will often start flaking after a relatively short while and there opinions of the negative health impacts of ingested non-stick coating. So in short, cooking with a dutch oven is actually healthy! 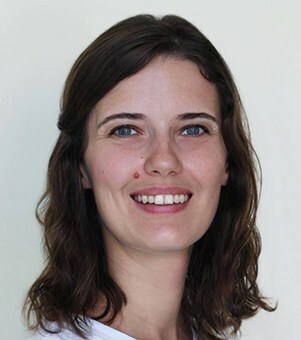 Nadine is a freelance writer, blogger and a tropical island travel enthusiast. She is one of the main writers and researcher at Coco Treasure where she is able to share her passion for coconuts, coconut oil and other great organic coconut products.